New breweries join KGHB Fortnight. Sadly there are a few breweries no longer with us or unable to be part of the Fortnight this year, but we thought we’d introduce you to our newcomers. Some are new outfits and others are well-established but new to KGHB – but either way here are the new entries… including a sneak preview of some of this year’s brews. “In 2012, whilst rebuilding the near derelict George and Dragon pub in Swanscombe, workers stumbled on a tribe of Cavemen in a walled up section of the cellar. Descendants of the Swanscombe Man, this Caveman tribe has been living in the cellar of the pub and the adjacent abandoned cellars of Galley Hill for millennia. These Cavemen (and Cavewomen) have sampled beer brewed throughout the ages, including a lot of the contents of the George and Dragon cellar, and have decided to use their expertise to form their own brewery,” so says the Caveman website… and who are we to argue? Based in north Kent in the town of Swanscombe – which is betwixt Dartford and Gravesend – this new brewery specialises in hoppy brews and is inspired by brewers from around the world. Follow Caveman Brewery on Twitter. Larkins Brewery will be a familiar name to many as it has been around since 1986. Based on a farm in Chiddingstone, to the west of Tonbridge, Larkins also grows its own hops making it an ideal brewery to be part of the Fortnight. Look out for its Green Hop Best, a 4% brew made with hand-picked Goldings and Bramling Cross. Follow Larkins Brewery on Twitter. Based in Faversham – like far older and larger KGHB brewer Shepherd Neame – Mad Cat has placed itself firmly in the craft beer camp. “We like to drink great tasting beers; bitters, blondes, IPAs, EPAs, ESBs, honey-flavoured, peach-flavoured, malty, hoppy, wheaty, banana beers, stouts, porters, krieks, lambics, rubies, bruins, milds, pils, crafted lagers and so on. In time we’d like to have a go at making our unique versions of many of these,” it declares on its website – which I think you’ll agree sounds jolly promising. For KGHB Fortnight Mad Cat has made two beers. Autumn Sun, a 4.3% pale ale – named for the colour of the beer – with classic Fuggles flavours reminiscent of dry hay, mint, and hawthorn, and Autumn Moon, a 4% amber ale with a smooth caramel flavour balanced with East Kent Goldings’ gentle orange and grapefruit notes. Follow Madcat Brewery on Twitter. Spencer’s is a new microbrewery based in Ashford, Kent. It says its mission is to produce the, “Finest ale from the Beer Garden of England.” Its range of beers uses hops from around the globe, including native varieties from Kent. 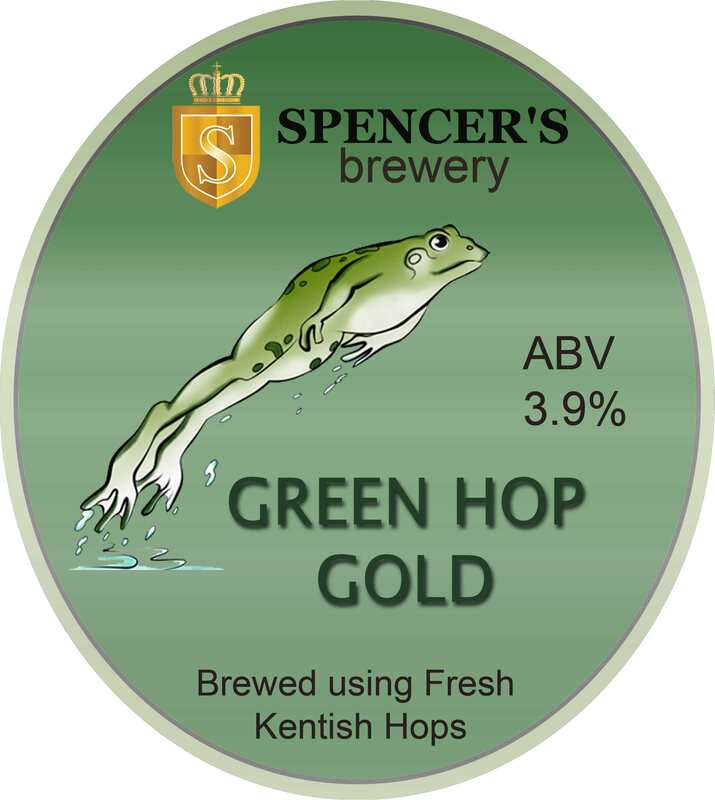 For KGHB Fortnight Spencer’s has made Green Hop Gold a 3.9% light and smooth green hop golden ale. Whitstable Brewery started life around a decade ago and was inspired by the microbrewery culture of the USA. It brews a number of popular styles such as IPAs and bitters along side styles it sees as ‘unfairly overlooked’ such as milds and stouts. “We are not afraid to experiment with the unusual, as evidenced by our single-hop range of ales, designed to make drinkers more intimately aware of the ingredients which make their beer,” says brewer Rafik Abidi. For KGHB Fortnight Whitstable has made Grafty Green Hop a 4.8% pale ale. 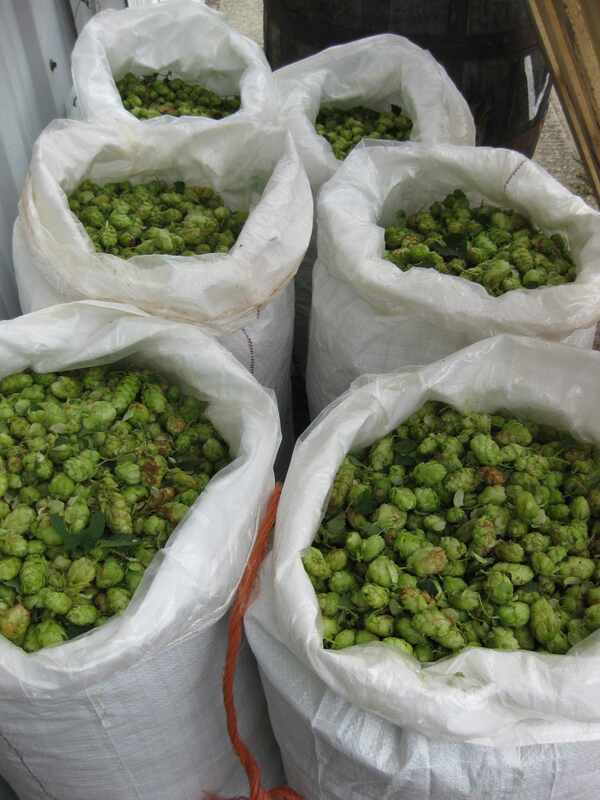 ← Kent Green Hop brewing is under way!